We want to give them a shout out because they really are wonderful companies that have great products (other than ours). 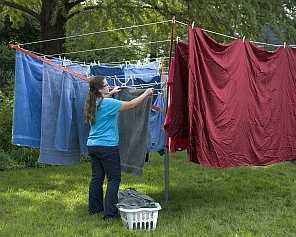 I am asked a lot about clotheslines…lots. I always refer them to this company. We love supporting people with a great passion for what they do. It is truly a treasure to find a company you can rely on. Best Drying Rack has been with us since the beginning. Greg and Julie Baka are deeply passionate about quality in the details. They want to offer the best quality and best working laundry items they can find. So, if you are looking for a wonderful and reliable Drying Rack that is made in the US this is the place to go. We have one of the round drying racks and it is great. I have piled it with water laden clothes in front of my fireplace many times. When I don’t need it I can store it easily. They have several styles of clothesline racks and they also sell other accessories for hand washing. Molly’s Suds is a great company. This company has an amazing story..and yes there is a Molly. A sweet baby girl that is influencing many lives even though she never took a breath. Through tragedy came something wonderful, a company that strives to offer cleaning products that are safe even for the littlest among us. You can read their story HERE. They are passionate about creating toxin free laundry products. All are US made. We are privileged to be part of what they are doing. Lehman’s motto “Live a Simpler Life” is a good description of what Lehman’s is about. Lehman’s is a family run company in Ohio. 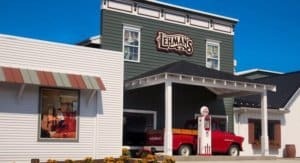 Jay Lehman opened Lehman’s in 1955 to serve the Amish with practical, non-electric tools, appliances and home goods. As their site says,”We exist to help you break through the clutter, chaos and confusion that is the modern world. You want to build traditions with your family, learn old-time skills, grow and harvest your own food, and we are here to help.” I love that quote because though I love modern convenience I want to stay connected to a simpler way of living. All of their products are practical and range from planting and preserving to off-grid living. Many of the products (though not all) are US made. I can easily get lost in their catalog because of all the great stuff that inspires me to try something new. Lehman’s just introduced Kevin’s Quality Clothespins to their customers and we are looking forward to our continued partnership. They also have a great Blog you can explore. Hope you have taken the time to explore these companies. They truly are fabulous companies.